Businesses rely heavily on customer relationship management(CRM) technology tools to maintain and manage interactions with current and future customers. CRM software designed at Aria Telecom has ability to deploys technology to organize, automate, and synchronize data. Data from sales, marketing, customer service, and technical support are managed well in this system.We understand that your customers are your businesses’ key factors. Relationships with new and prospective customersare vital to your business and CRM is able enough to handle the pace. CRM Application Development at Aria Telecom means a complete solution for your business. The CRM program developed here cansustain customer records at a central place which can be accessed by employees too. The main aim our CRM application is to maintain the customers or clients’ records at a centralized location and make sure that every departments have access to that. Benefits of this system can be leveraged to maintain the interests of customers and clients. our CRM software is useful for client servicing and sales mostly. 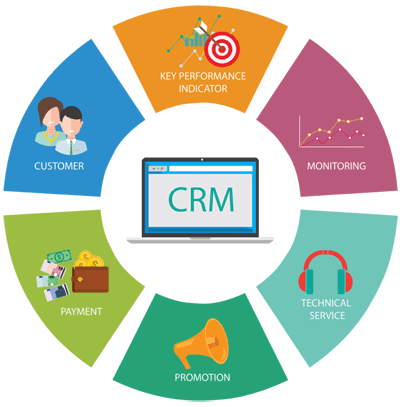 CRM brings all data under one umbrella, which helps the client service, or customer service departments to improve the sales and after-sales services. It also keeps a track on important changes in the market trend, customers’ preferences, purchasing power etc. CRM application is one of the best computer applications that manages data in a concise and consolidated way. Every type of business requires a system that can synchronizes information in a single click. At Aria Telecom we provide efficient websites with design and online services of different kinds. To build CRM, our developers first understand the nature and requirements of the business, and then work on software to maintain the database. It helps streamlining the functioning of various strengthsof the organization through this CRM application. CRM application development not only generates information about the clients or customers, but helps to the research and development department of the company. It studies the customers’ behaviour and attitude towards the product, etc. which helps in promoting the business. CRM is not about centralizing the client’s data, offers a ready source that generate information about changing trends. Easily identifies the target audience for specific products, based on their previous order history. Enables Cross selling or Upselling by providing historical data. Helps the organization to prevent gaps between customer service and business with records of all historical data for all customers. It helps to generate and record the history of Purchase Orders, Sales Orders, and Invoices. It systematically tracks customer communication, problems, and solutions. Tracks customer activity at each end point, purchase and sales habit.